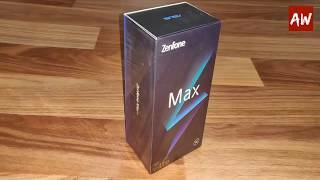 Asus announces its new smartphone in the budget category – ZenFone Max M2 along with ZenFone Max Pro M2. Asus ZenFone Max M2 has the latest 14nm Qualcomm Snapdragon 632 Mobile Platform and backed by a massive 4000mAh lithium-polymer battery. Max M2 is the first model in the series to use a 15.90cms (6.26) all-screen 19:9 HD+ (1520 x 720px) display. Its 88% screen-to-body ratio. The rear has fual camera setup and the front shoot is supported by a LED flash for amazing low light performance. Attractive Instant Discounts on Select Bank Cards. Check out on Flipkart for more details. ASUS ZenFone Max M2 will be available in two variants namely 3GB / 32GB for ₹.9,999/- and the 4GB /64GB for ₹.11,999/- from Dec 20, 2018 exclusively on Flipkart.